Being a mother is one of the toughest jobs in the world. If you’re a mom, then you know what I mean! You rarely have breaks and get no days off. And as many of you ladies know, it can be even tougher for working moms, who have to juggle huge responsibilities at home and at work! Because of this, it’s really not a surprise that many moms end up neglecting themselves. With so many things to prioritize, taking care of yourself can easily end up at the bottom of your priority list. How are you supposed to feel good about yourself when you barely get time to look in the mirror? My answer: Make time for yourself, even if it means getting a little bit creative to find that time. When you do have an afternoon dedicated just to you, I highly recommend that you try a boudoir photography session. Why? Well, there’s many great reasons… like the ones below. As all moms know, children and family come first in everything that you do. While this is wonderful, the truth is that you have to take time for yourself once in a while too. Whether it’s a 30 minute break to do some exercise each day, or a short meditation session after lunch, spending time on yourself will help you do your best job as a mom. While some moms might consider a boudoir photo shoot as a form of vanity, it is anything but that! It is really the perfect way to remind yourself that you need to love yourself too. You can only give 100% to your family if you do the same for yourself. 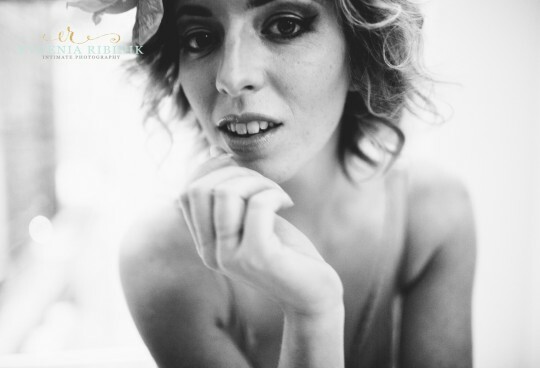 A boudoir shoot will help you feel more confident as a mom and as a woman. It takes a lot for a woman to decide to have boudoir photos taken. But with this decision, you can really learn to feel beautiful in your own skin. The female body is not only beautiful; it is also powerful. The ability to bear a child is a true gift. You can use your boudoir photography shoot as a way to showcase this. Unfortunately, many women feel disconnected with their bodies, especially after giving birth to a child. A boudoir shoot is a great avenue to get to know your own body once again. Seeing your body from a new perspective will open your eyes to its true beauty and power. It is amazing how a simple photo shoot can transform how you see yourself. Many mothers are scared to look at their own post-baby bodies. Yes, your body will definitely change when you have kids. However, you need to embrace it. A boudoir photo shoot is a good way to understand the beauty of your own body. You will learn that it does not take the media’s idea of a ‘perfect body’ for you to be happy with what you have. A boudoir shoot will help you celebrate how magical motherhood is. Take some time for yourself this new year, and let’s talk boudoir! Contact me today, and together we’ll plan an incredible session that will change your outlook on your busy life. In the meantime, don’t forget to join my private Facebook group, where you can meet other moms and women to chat with. We strive to inspire each other every day, and I know you’ll love it.